What’s one tool a news organization can use to help its readers explore different neighborhoods and meet new people in their community? The Texas-based Tyler Loop took its readers on a taco tour through the city to help illustrate — and try to bridge — divisions in Tyler. and The Solutions Journalism Network. Every Thursday we’ll cover one neat thing a news organization is undertaking and share lessons and best practices you can apply in your own shop. • The Challenge: The demographics of Tyler, Texas are changing rapidly and digital startup The Tyler Loop wanted to try to help residents better understand their city in a fun way. 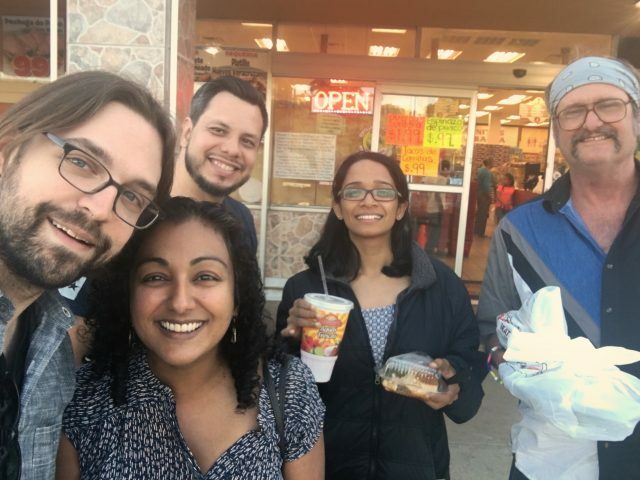 • The Strategy: The Loop created the Tyler Taco Tour, a crowd-funded and crowd-sourced group tour of taquerias across the city, which brought together residents and exposed them to parts of the city that were new to them. • The Numbers: The Loop raised $300 in just two days to fund the taco tour. • The Lessons: Less traditional approaches to stories can help journalists connect with their audiences in new ways. • The Future: The Loop plans to continue the tour and also hopes to more broadly cover the city of Tyler. The Tyler Loop is a digital magazine covering Tyler, Texas, a city of more than 100,000 about two hours east of Dallas. The Loop was launched by two Tyler residents, husband-and-wife pair Tasneem Raja, a freelance journalist, and Christopher Groskopf, formerly Quartz’s data editor. In recent years, Tyler has become a majority-minority city with a booming Hispanic population. When they started the Loop in spring 2017, one of Raja and Groskopf’s primary goals was to help Tyler residents better understand how the city is changing. The Loop wrote some explainer stories about the city’s evolving demographics, but Raja said they also wanted to get beyond traditional news stories. To try and tackle these challenges, the Loop has presented stories in a number of different ways. The most popular story the Loop has published to date was a 130-year timeline documenting the history of the city’s once-segregated schools and its current high school, Robert E. Lee High School. It also published a series of as-told-to first-person narratives from undocumented residents in Tyler. 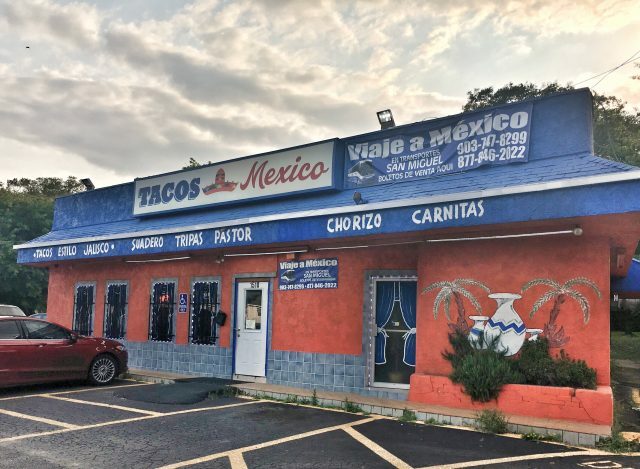 But one of its first ambitious projects, created to find an interactive way for Tyler residents to better understand the city’s evolving demographics, meet new people, and understand their home in a new way, was the taco tour. Why a taco tour? “Everybody loves tacos,” Raja said. “The stealth goal here is to get our audience to go and check out businesses and spend money in businesses that they are not familiar with otherwise, that they might find inaccessible or unapproachable otherwise…and we wanted to involve the community,” Raja added. Last April, the Loop launched a crowdfunding campaign to support the initiative. It asked readers to chip in a few dollars to fund the tour. It also solicited suggestions for places to visit and invited readers to apply to join the tour. “It was neat because people felt like if I can’t give, I can at least put in my favorite taco joint’s name and still feel like I’m a contributor even though I didn’t fund the tour, said Marc Loredo, a Tyler resident who participated in the tour. Loredo said he heard about the taco tour on Facebook and he decided to contribute and to also apply to take part. Within two days of launching its crowdfunding campaign, the Tyler Loop met its goal of $300. It raised the money from 12 different contributors, ranging from $5 to $100. The site received “dozens and dozens” of emails from readers with suggestions for places to visit and also applying to participate in the Taco Tour, Raja said. The visits were spread out over a few weeks and the Loop took small groups to each of the restaurants. They handed out forms to the participants and asked them to grade the tacos as they made their way through the menus. Spanish is the predominant language at the restaurants and Raja was worried that their groups would cause a scene. “I thought it would be so weird for these restauranteurs when we come in with forms and you don’t see a lot of white people, Asian people, or Black people in these restaurants, but we tried to have a diverse group with us when we came in, and they seemed to be having fun with it too,” Raja said. • Food for good: Journalism doesn’t always need to be so serious. News organizations can use food — or other fun methods — to get across important points in more lighthearted and interactive ways. With the taco tour, The Loop was able to use tacos as a lens into showing both participants and readers another side of Tyler that they might not normally have seen. The Loop proved a larger point without bludgeoning readers over the head with the message. And it didn’t go unnoticed. • Local journalism as a convener: Because of their place-based nature, local news organizations have a unique ability to bring together community members in person. Whether it’s a taco tour or any other type of event, convening people IRL can be a powerful way for news organizations to share their reporting or strengthen the community. And they can also be potentially lucrative business opportunities. Carlos Barron participated on one of the tours, and he also runs CoffeeOutside Tyler, a pop-group that serves free cold brew and facilitates conversations around Tyler. He said that efforts like the Loop’s — and his own — can help grow the community. • Recognize your place in the ecosystem: Tyler already has a daily newspaper and multiple local TV stations. It’s not a news desert by any means. So when the Loop launched it knew it didn’t have to be all things to everyone. The Loop had been publishing one or two stories per week before it took a hiatus in October. (They’re planning to relaunch soon — more on that below.) By recognizing that there’s room in Tyler for a more magazine-oriented type of publication, the Loop is able to focus on initiatives such as the taco tour and serve its audience in a meaningful way. • Continue the tour: The Loop took a break last fall to figure out its future, but it’s planning on relaunching the taco tour this spring as part of a larger relaunch. There are still places on the list that it wants to go to, and it still has some remaining funds, Raja said. • Move to a nonprofit model and more frequent publishing: The Loop really started as a side project, and Raja and Groskopf are in the process now of figuring out the publication’s future. Raja said she’d ultimately like to devote half of her time to the Loop. (She spends most of her time as a freelance magazine writer.) The Loop would like to be able to pay writers to contribute features to the site. Facebook and its newsletter, which has about 400 subscribers, have been the Loop’s primary mode of distribution. They’re leaning toward turning the site into a nonprofit with a membership model. • A life of its own: Even as the official taco tour has been on hiatus, some of the participants have discussed forming their own taco club. Loredo, who has lived in Tyler since the 1990s, said he was grateful that the Taco Tour introduced him to some new people in the city. He and a few of the other participants are looking into the feasibility of doing a taco potluck where everyone can bring their own tacos to share and hang out. • For some more background on the Loop, check out this Nieman Lab profile from last spring that covered why Raja and Groskopf decided to launch the site and their goals for the Loop. • Food (and not just tacos) can be a powerful tool for journalism. The American Press Institute spoke with a pair of NPR reporters about how they incorporate food into their storytelling. 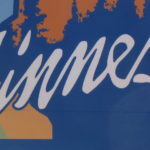 • Here’s a cool example of experiential journalism: The Evergrey, a Seattle startup, took its readers on a 10-hour road trip to meet and learn from people in rural Oregon. • After some readers called The York Daily Record “fake news,” the Pennsylvania paper invited the critics to a local barbeque joint to meet the editors and discuss journalism. Scott Blanchard, an editor at the paper, wrote about the experience for Columbia Journalism Review. • Additional resources on reaching new audiences can be found on Better News, a resource from the American Press Institute that’s part of the Knight-Lenfest Newsroom Initiative. Do you know any other news orgs taking fun approaches to covering topics with its readers? Do you have any thoughts you’d like to share about the Loop’s taco tour? Just want to say hi?